IBPS PO Application Form 2019 will be available on the official website in the month of August 2019. Know the complete online registration procedure & apply now with these simple steps. The candidates who are willing to take this test to actualize their dreams of getting such amazing job should start their preparation now! Get all important details about IBPS Probationary Officer exam. 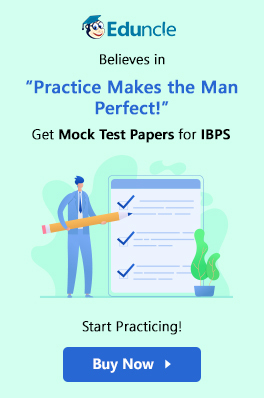 IBPS PO 2019 – Apply Online! The candidates who are giving this exam for the first time may face problems in applying online. So, Eduncle is providing step by step procedure to help students in getting a better understanding of IBPS PO Online Application. Scan their photograph and signature ensuring that the photograph (4.5cm × 3.5cm) , left thumb impression and signature adhere to the required specifications as given in Advertisement. (Signature in CAPITAL LETTERS will NOT be accepted). Keep the necessary details/documents ready to make Online Payment of the requisite application fee/ intimation charges. Have a valid personal email ID, which should be kept active till the completion of this round of Common Recruitment Process. IBPS may send call letters for the Examination etc. through the registered e-mail ID. In case a candidate does not have a valid personal e-mail ID, he/she should create his/her new e-mail ID before applying on-line and must maintain that email account. Scanned left thumb impression and self declaration as given on IBPS official website. Get Latest IBPS PO Exam Date & Last Date 2019 right here and take the forward leap before anyone else! Candidates will have click on “CLICK HERE FOR NEW REGISTRATION” to register their application by entering their basic information in the online application form. After that an IBPS PO Registration number and password will be generated by the system and displayed on the screen. Candidate should note down the Provisional registration number and password. An Email & SMS indicating the Provisional Registration number and Password will also be sent. They can reopen the saved data using IBPS PO Registration number and password and edit the particulars, if needed. Candidates are required to upload their scanned photograph and signature as per the given specifications in official advertisement. 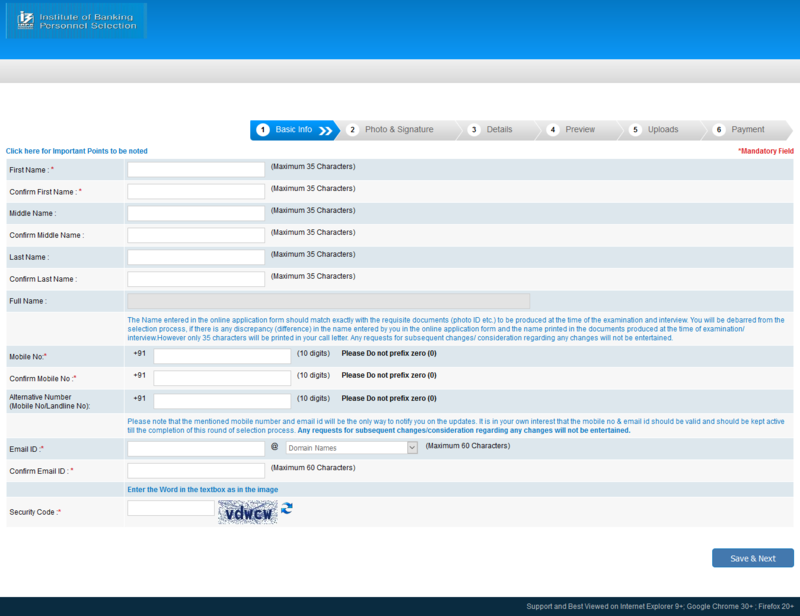 Add your basic, academic details and bank preference order for the same. At last preview your complete details and validate it. Now upload, thumb impression and self declaration. this step was introduced in 2018 only. Application Fee – INR 100 for ST/SC/PWD Candidates and INR 600 for all others. Mode of payment of application fees – Online. Candidates should carefully fill in the details in the On-Line Application at the appropriate places very carefully and click on the “FINAL SUBMIT” button at the end of the On-Line Application format. Before pressing the “FINAL SUBMIT” button, candidates are advised to verify every field filled in the application. 1. Candidates are advised to carefully fill in the online application themselves as no change in any of the data filled in the online application will be possible/ entertained. 2. Prior to submission of the online application, candidates are advised to use the “SAVE AND NEXT” facility to verify the details in the online application form and modify the same if required. No change is permitted after clicking on FINAL SUBMIT Button. 3. An online application which is incomplete in any respect such as without proper passport size photograph and signature uploaded in the online application form/ unsuccessful fee payment will not be considered as valid.
" Eduncle aides you with all the perfect pre-requisites to crack the exam. Just grab them for yourself for FREE! Download Now!" ‘If you wish to share any important points regarding the above information, you can drop your suggestions/comments in the comment box given below. 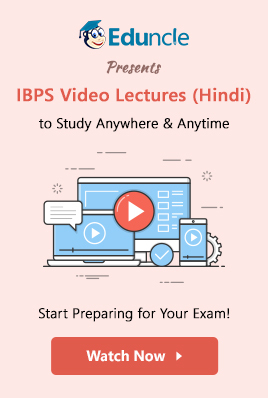 For latest IBPS PO updates, stay tuned on Facebook and YouTube also. Sir, Mera graduation isi year final hua hai . Mai ibps 2017 po ke liye aply krna chahti hun. To ise online kaise apply kru? 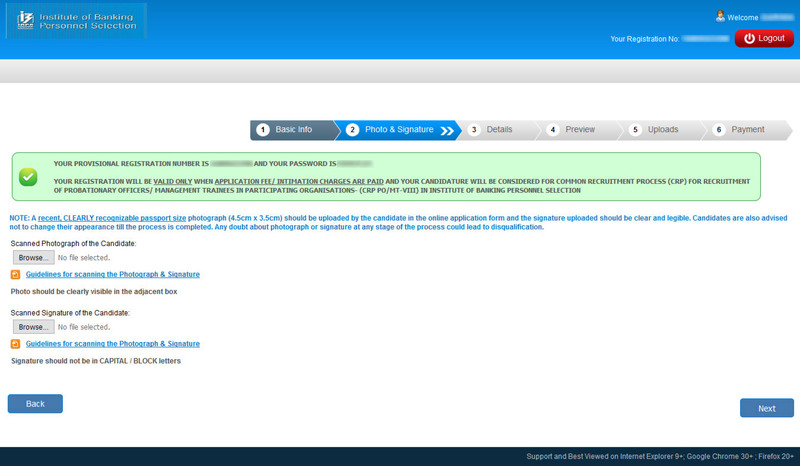 Sir , I am in the final year ,without degree of graduation ,i cant fill the form for ibps exams ? has the Ibps online registration started? if not what is the last tentative date 13.08.17 for? Hello i will finish my graduate in maths on march.. is it able to do the online registration after degree?? Is it possible to do in 2018?